I took this picture of a red-eyed treefrog at Arenal, a volcano in Costa Rica. 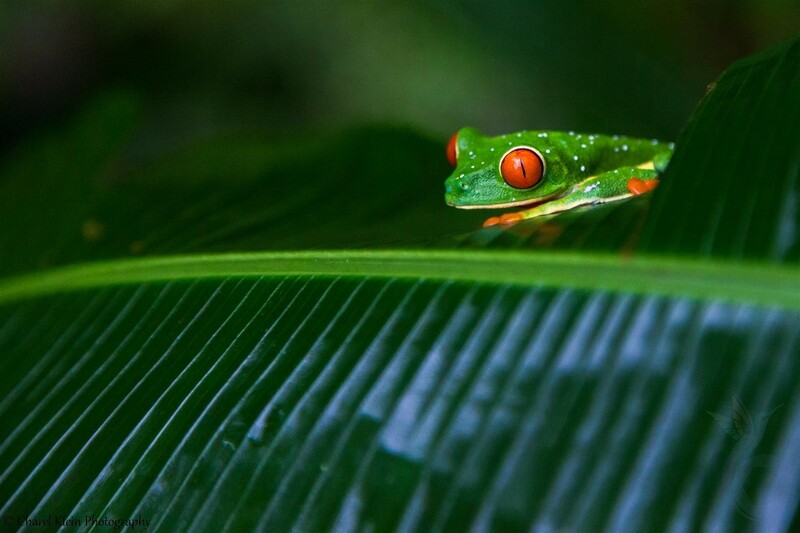 The frog was hidden between the green leaves of the plants near a pond in the cloud forest. Difficult to find but this eyes attracted my attention.